"Anemone", formed, and textured. 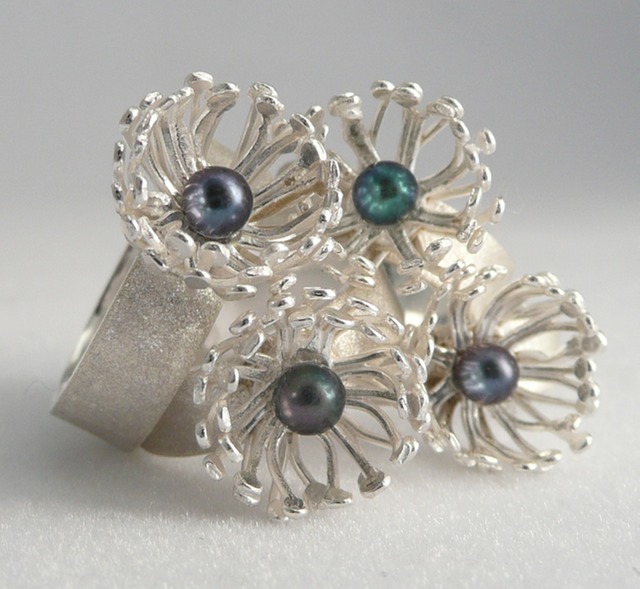 Sterling silver, and black pearl, sizes 6.5 - 9.5, 2011. $170.